For better hand protection the guard has buttons on the ends. 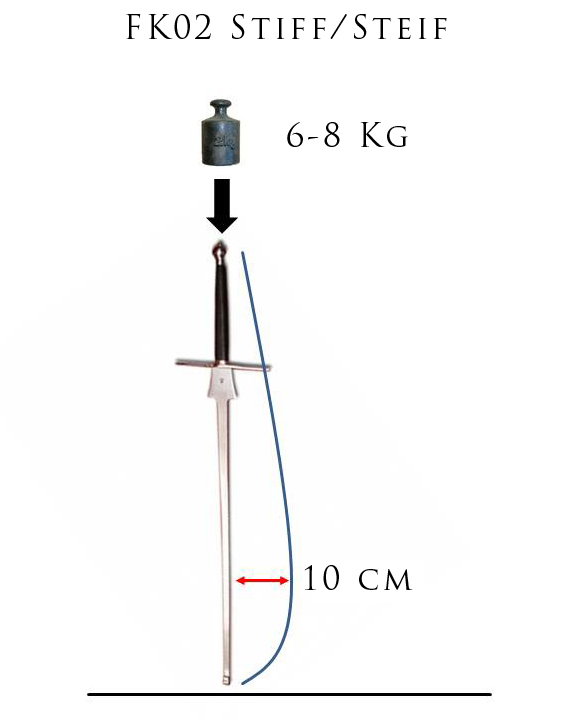 This type of Federsword bends up to 10cm away from the vertical axis when vertical pressure of 6-8 kg is applied. The thickness of the blade (from the point to the first 20 cm): 2-2,5 mm. The thickness of the blade by the guard: 6 mm.